Eight-year-old Emilia is now riding in style in Northern Virginia with a new wheelchair and car seat from The Eric Fund. Emilia, who has cerebral palsy, epilepsy, as well as physical and intellectual disabilities, outgrew her adaptive stroller to the point it was negatively impacting her positioning and posture. Emilia’s parents did not have the financial means to afford the necessary equipment for Emilia and turned to The Eric Fund for help. One of the things Carolena Garrison enjoys most about her job as a restaurant hostess in Northern Virginia is the people – the regular customers, coworkers and managers she gets to work with each week. But now, thanks to a cutting-edge piece of technology provided by The Eric Fund, Carolena, who is legally blind, will be able to greet her family, friends, regular customers and coworkers before they even speak a word. The Eric Fund purchased for Carolena an Orcam MyEye, a special camera device that mounts on glasses and acts as a visual aid for people with low vision. The MyEye’s facial recognition software can be programmed to recognize a number of people. When the camera sees a familiar face, it will speak the person’s identity into an earpiece Carolena wears. The MyEye also translates images and writing through the earpiece, allowing Carolena to read printed words on anything from forms to menus. Currently, Carolena requires assistance to read the restaurant’s table map to seat customers. “With the technology, I can run the floor plan and help my customers,” says Carolena. “(The MyEye) will make my job a lot easier for me. It will me give me more independence.” The Eric Fund is honored to provide this important piece of equipment to advance Carolena’s independence at home, work and in the community. Francis Dwyer is a 27-year-old young man living with Downs Syndrome, who has already reached many milestones in his quest to live as independently in his community as he possibly can. Although Francis had a part-time job at the time his application was submitted, he was relying heavily on a job coach to help him complete the requirements of his job, rather than working more independently. Francis, along with his mother, his job coach and his AT specialist, mapped out a list of goals and implementation strategies to make progress in three key areas of his life: work/vocational skills, activities of daily living, and community living and recreation. His mother, Jeanne, aware of what a difference some simple apps could make in her son’s life, applied for an Eric Fund grant on her son’s behalf in hopes of securing an iPad for Francis, and the Ablelink, Endeavor 3 app and Google Calendar. One challenge that Francis faces in his day-to-day life is remembering what tasks he needs to complete and at what time. The app is an iPad-based monitoring system that helps an individual live more independently by creating daily schedules for work and activities of daily living, daily medication reminders, all things with which Francis needs assistance. The Endeavor 3 is helping Francis create a weekly calendar with visual and auditory reminders of what he needs to accomplish. He hopes to one day use it to help him learn how to follow a recipe and cook a simple meal. Francis’s mother expressed her extreme gratitude to The Eric Fund for providing the technology that will enable her son to continue his progress on his path toward independence. Ten-year-old Alana is one of five children in a large family that struggles month-to-month to make ends meet. 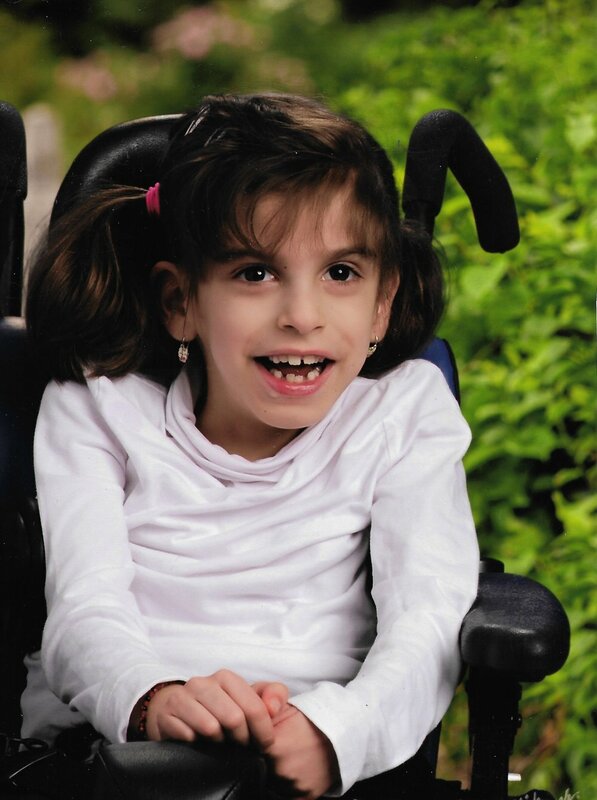 Alana’s mother, Loretta, describes her as a happy, thoughtful little girl who is always smiling and loves Pokemon! When Alana was born she was diagnosed with Opercular Syndrome (also known as Foix-Chavany Marie Syndrome), a paralysis of the facial and laryngeal muscles (among others). As a result of this condition, Alana is unable to speak verbally. The Eric Fund awarded Alana with an iPad, that she will use as a communication device both at home and at school so that she can better interact and communicate with her family, friends and classmates. Alana had been using an iPad paired with the Proloquo2go app (with a built-in speaker) as a communication device at school. The Eric Fund provided Alana with a special case with speakers for the iPad a couple of years ago. When the iPad broke, the school would not replace it, which severely inhibited Alana’s progress on mastering the device, let alone her ability to communicate with those around her. It is expected that Alana will always need to rely on a speech-generating device. With her own device awarded by The Eric Fund, she will continue to build both the skills and confidence that will move her toward living a more independent life. At 14, James Aliban has endured more than any young boy should. He has undergone two open-heart surgeries, a bone marrow transplant, and is currently in remission from leukemia. In addition, he lost his mother to cancer three years ago, leaving his father as his primary caregiver. Due to his hearing loss in both ears and limited verbalization skills, James had been using the LAMP Words for Life app on his iPad to communicate as best he could. However, this solution was far from ideal; while the LAMP Words for Life app was helping him gain the ability to express himself, progress was slow. He needed a device dedicated solely to communication. James was nominated for The Eric Fund grant by his speech-language pathologist, who believed that the Accent 1000 – an augmentative communication device manufactured by the Prentke Romich Company – used with the LAMP Words for Life language system would help reduce James’s frustration and support additional language learning. Using the app with the Accent 1000 would give James a way to communicate in all settings throughout his day, improve his social connections, learning opportunities, and ability to express his wants and needs. Unfortunately, the $7,500 cost of the Accent 1000 was more than the maximum amount that The Eric Fund awards any one applicant, which put in jeopardy the possibility of getting James this life-changing technology. Enter Prentke Romich. The Prentke Romich Company has been a leading manufacturer of augmentative communication devices for more than 50 years. The Eric Fund has worked with PRC many times over the years, to provide assistive technology to our award winners. When an Eric Fund board member reached out to them about James, they were ready and willing to help. At its annual silent auction fundraiser on May 1, The Eric Fund featured a special “fund an item” component specifically designed to raise money to put toward the purchase of the Accent 1000 for James. The Prentke Romich Company generously donated the remaining amount, allowing the grant to go through and allowing James to have a voice. James Aliban, his father Anastacio, and the entire board of The Eric Fund are tremendously grateful for the generosity of the Prentke Romich Company for making this grant possible! Six-year-old Roxie did not take kindly to being mistaken for a baby. Roxie, who lives in Maryland and has cerebral palsy, was going back and forth to school in an adaptive stroller she had outgrown that was being held together by duct tape. The stroller required another person to push Roxie, and did not permit her to move on her own. Her single mom had tried for more than two years to get insurance to pay for a proper power wheelchair for Roxie, but unfortunately, the more than $4,300 copay for the wheelchair and all of the necessary accessories were out of reach financially. This year, Roxie finally received the wheelchair she had been waiting for, thanks to help from The Eric Fund, which paid the copay for Roxie’s new power wheelchair.